Iranian director Majid Majidi’s Beyond the Clouds, will be the opening film in the International Film Festival of India (IFFI) on November 20. The film, which stars actor Shahid Kapoor’s brother Ishaan Khattar and Malayalam actor Malavika Mohanan, has been entirely shot in India with the local cast and crew. Oscar winner AR Rahman has composed its music and the Hindi dialogues has been penned by Vishal Bhardwaj. Beyond the Clouds revolves around the adoration of love, life and human relationships between a brother and sister which takes place in the ever bustling city of Mumbai. The movie is a tri-lingual with dialogues in English, Tamil and Hindi. Academy award winner AR Rahman has composed the music for the film. 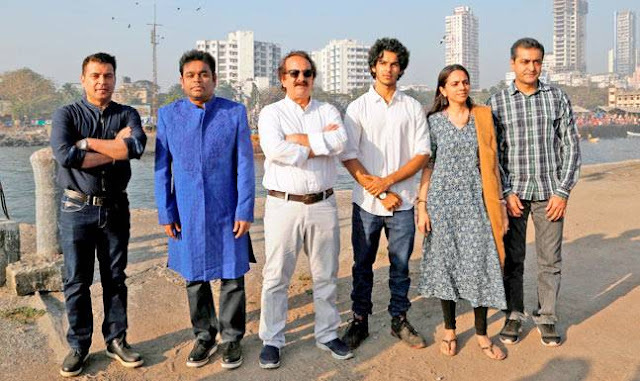 Majidi, Ishaan Khattar, Malavika , AR Rahman and Vishal Bhardwaj, is expected to attend the screening.